Final Fantasy was a game created by Squaresoft (now Square-Enix) in 1998. The game took 3 years to make. When it finally came out it was released for the Playstation. This game is called the best game ever created by a number of crazy fans around the world. I am one of them. Some of the subjects in the game are very suspicious because of what is going on in our world today. I say in the title of the article that it is an "Illuminati Manifesto", and instead of sparking debate on whether or not the Illuminati actually exists today, lets just call it a secret society. If you don't believe that secret societies run our politics, and the fate of this planet, you are seriously mistaken. When you start off the game you begin playing as Cloud. He is a Soldier member for the Shinra company. The Shinra company is an energy company that has ties to the corrupt government that controls the world through the power created at their Mako reactor power plants. Mako is a substance that is pumped and refined from the Earth to power all of the cities. Sounds a lot like oil doesn't it? In the game they build these reactors everywhere with no regard for the people that live around them, because of the way they refine the mako into energy, they are very dangerous and even release what looks like harmful emissions. 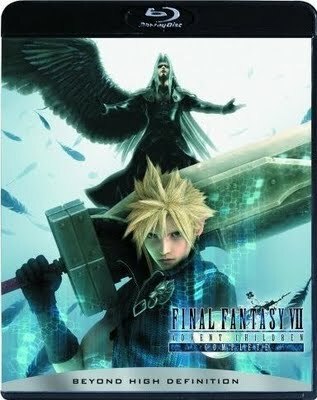 Cloud is a Soldier first class for the Shinra company. He wields powers unlike that of any other human. Every soldier has been genetically modified, and infused with mako energy. This changes the color of all of their eyes to a light blue color. This shows that they have had exposure to the mako energy. 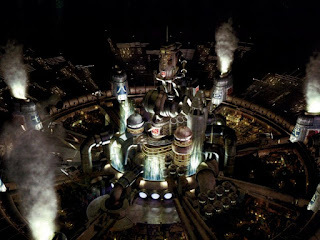 Once they have been altered by the mako energy they are given powers that allow them to harness the powers of Materia. Most materia stones are infused with mako energy that are found throughout the Earth that allow people that have them to perform magical spells and abilities. Do you think any of the power companies today could be performing genetic experiments on humans? We already know that BP has genetically altered bacteria so that it can degrade oil from their huge oil spill, but do you think humans are being altered to be better "soldiers"? It is very possible. Why are we still so dependent on oil? Sure the answer is obvious we need massive amounts of energy to survive comfortably, but maybe there is another reason? What do we really know about what oil is? Scientists to this day are learning more and more about the mysterious fossil fuel. Our rations are limited also, just as in the game mako sources are depleting. Mako is part of the lifestream. The lifestream, as described by the game, is where all spirits go when they die to be reborn again, and to feed the planet the information that has been collected by the soul while being here on Earth. This is all a very strange take on what oil could very possibly be, and it seems like it correlates with reality somewhat. This brings me to the next part of the story. Although Cloud is the hero of the story, Sephiroth would be considered his nemesis. Sephiroth IS the most powerful of the soldier group, and he has one major difference, he was not created using the power of mako energy. He was created with another source of energy, a huge meteor that fell from the sky. 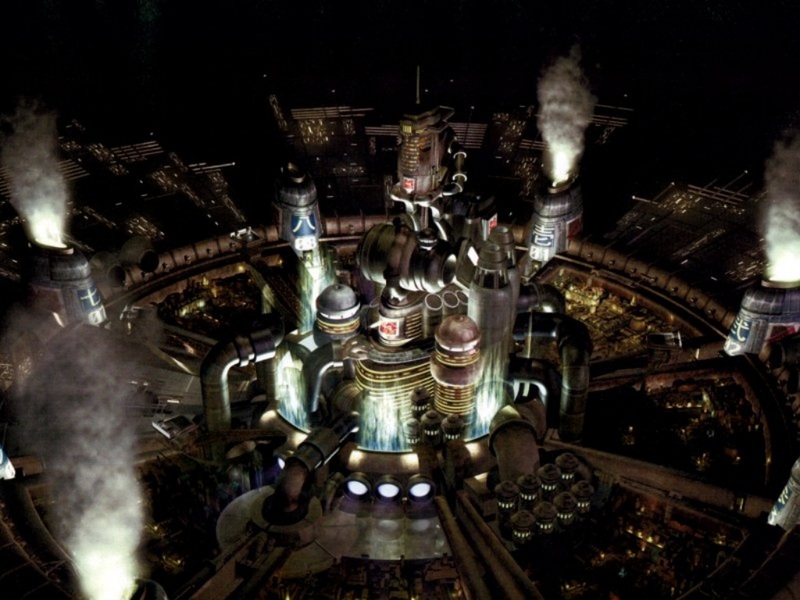 The Shinra company upon researching this meteor, found something called Jenova. Jenova appears to be an alien of some sort that has traveled using the calamity that fell from the sky. This is how Sephiroth was created, instead of being a standard soldier created from mako energy, he was created using Jenova's cells. His eyes instead of being blue, are a bright green. He wields the most power in the soldier group, and the power absolutely corrupts his mind. He turns his back on Shinra, and promises to take back the Earth from the Shinra company, and for his mother Jenova. The Sephirot or Sephiroth in Hebrew are the 10 attributes or emanations in the Kabbalah, that transform your being into a higher realm of consciousness. This is all very strange, and leads me to believe that the game's creators could believe that the Kabbalah was derived, or even created by extra terrestrial beings. The use of the name Sephiroth "the one winged angel", or "fallen angel" as shown above, is very mysterious in itself. What could all of this mean? I believe that the popularity of this game has to do a lot with how true it holds to our actual reality. Final Fantasy history shows that the story lines of every game, has never been so close to actual reality. Could this be our not so distant future? I believe that these games are very well written, but when they are so well written you can make connections in the real world, then you could have a secret society like group of people that understand the subtle clues that are in the game to tell the grand story of creation, and to keep insider secrets. This is not the first game to show such agendas, and believe me it won't be the last. Sephiroth's Meteor Spell he uses in the final battle...Could this be comet Elenin that could destroy Earth in real life? Thank you for reading my article. Don't forget to comment. I just want to point out most of the stuff I have mentioned in this article must not be taken with a "grain of salt". This is a story, a story of epic proportions. In order to have an epic video game, especially a video game called by most "The Greatest Video Game of All Time", you must have an epic story. Where does this epic story come from? I mentioned the Illuminati to grab people's attention, but as I said in the VERY FIRST paragraph of this article, what we are really talking about is a secret society. A secret society without names that runs billion dollar companies that will always be successful with their pawns and sub-companies that run them, that is of course, until they don't want them successful anymore. I am flattered that they have mentioned me on gamefaqs.com. I just wish the gamers there would have a little more brain power. They quickly jump to the "Illuminati" being a rumor. Like I said, the Illuminati stuff should have been squashed in the first paragraph, but let us continue. They are also quick to mention the comments from my followers on this site. Really? Who the hell are you to be judging people, and what they believe. What do catholics call it? Sacrilegious? People need to do some serious research. Whether or not you believe a group called "The Illuminati" (dramatized of course) runs our planet is irrelevant, it is a well known and PROVEN FACT that a select few groups/companies/organizations actually do run our planet. The Council on Foreign Relations, The Trilateral Commission, The Bilderberg group, The United Nations, etc, etc. Its all in the paper work. Don't be naive. Read. It helps. Freedom of information act anyone? I can't believe they even go as far as to mention the Cold War. The Cold War was started by a rumor! How ironic. These people really need to get over themselves. You can call my points theory, and continue with pointless name calling. This game is in fact related to a grand story. Probably one that is told to every Freemason in the world. One story you still have yet to unravel. Personally, I didn't really think that FFVII had much to do with the illuminati. I thought it was more about 'Gaia theory'. Gaia theory is a form of agnosticism that considers the earth a body of which every living organism is a cell. It explains such things as global warming as the earth natural reaction to a negative stimuli. Why are we still so dependent on oil? Because we need the electricity to play Final Fantasy VII, of course. Speaking of which, am I the only one who thinks that it's a bit hypocritical when any video game, cartoon, etc. pulls some "save the environment" bull****? I mean, it doesn't ruin a game for me (after all, Mother 3 and Legend of Legaia are some of my favorite RPGs and they had the same kind of message), but it's kind of annoying to get an environmental message from a video game that essentially wastes electricity for the sake of entertainment. It's like the way I can't stand Captain Planet because of all of the trees that show probably killed (it's a cartoon), yet it insists that you should start treating the planet better. Hey! Hey! Oil is a lot like Mako. Our government does mean things for oil. This government group makes super soldiers. Is our government making super soldiers? The lifestream is...a...related to oil, in the sene that dead stuff makes oil. Sepiroth was made from the cells of an alein. Hmm. 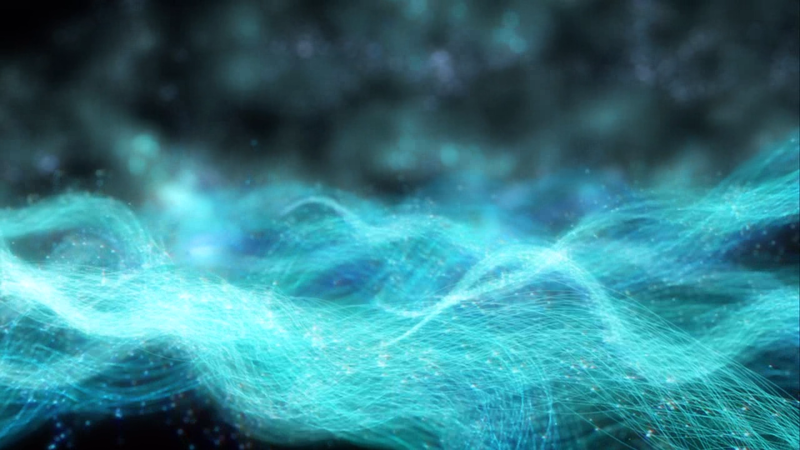 And don't you think Sepiroth's summon, "Super Nova", is alot like a come that could actually hit us? Do you think the Phoenix represents the dying US? That article says nothing about anything, other than the guy is into FF7 and Conspiracy theories. Ray, you are doing a great job exposing all these games. I have been studying these types of games for years and they ALL pound the drums for a new world order with myriads of Masonic signs, Illumanistic symbols toped off with a “save the planet” message that keeps minds busy so that people would blame each other for the worlds problems instead of their own governments. Even though I warned my nephew about these types of games, he was blown away playing this game because when he would get stuck I would help him out without even having prior knowledge of what the game was about. I told him to use a Masonic numbering system mixed with occult witchcraft techniques that the game was hinting for him to use – he now defeats every game he plays. Deuteronomy 29:18, Proverbs 5:4, Jeremiah 9:15, Jeremiah 23:15, Lamentations 3:15, Lamentations 3:19, Amos 5:7. Thanks for all the comments. I appreciate people actually reading my work. That is an interesting take on Dune, I wonder if I could download some old copies of the game, to check out more of the symbolism. I haven't checked it out in years. I used to love Dune. Thats usually the case isn't it....The movies, and video games that stick in your mind the most, tend to have the most masonic and illuminati symbolism in them. I love the revelations reference too, I almost forgot about Wormwood. Thanks for pointing that out. You are quite welcome Ray. Glad I was able to help. P.S., The Square-Enix Company is hiding an all-important bird. The square as in Compass and the Square – Phoenix, the bird that purposely self-destructs just like the USA is doing now according to the Masonic Plan. Wow I didn't even think about that. Another Masonic allegory 'rises from the ashes' thanks for pointing that out Louis. I just came across your work by accident, but I also found the reference to Dune fascinating. I would love to know whether you came across anything in the game itself. Unfortunately, I don't remember the game very well since I was just a child when it became popular although my brothers played it and I was so intrigued that I went on to read the whole series of the books. There are ofcourse interesting references to government and politics in the books. What I really want to mention though is that there is also a reference to Dune in World of Warcraft, a series of quests that directly relates to the game. I play WoW sometimes and was quite shocked when I became aware of the Freemason symbolism on another site, although I have never looked for it in the game and can't confirm it. I just found the reference interesting. WoW tends to use references to various things like movies and books in their quests though, so it may just be a coincidence.I just came across your work by accident, but I also found the reference to Dune fascinating. I would love to know whether you came across anything in the game itself. Unfortunately, I don't remember the game very well since I was just a child when it became popular although my brothers played it and I was so intrigued that I went on to read the whole series of the books. There are ofcourse interesting references to government and politics in the books. What I really want to mention though is that there is also a reference to Dune in World of Warcraft, a series of quests that directly relates to the game. I play WoW sometimes and was quite shocked when I became aware of the Freemason symbolism on another site, although I have never looked for it in the game and can't confirm it. I just found the reference interesting. WoW tends to use references to various things like movies and books in their quests though, so it may just be a coincidence. Maybe the scientists are only telling us very little of what tHey know and that's why they are making us use these so called fuel efficient cars cuz they found something super scary about oil and don't want to cause drama and panic. I just found this blog and I'm so intrigued! I do believe illuminati exist as an evil soceity because the bible mentions that the devil is the ruler of this world, the world is leing in the hands of the wicked one and the devil wants to control us and what better way to do that then to have a cult with massive power. Too much evidence that the illuminati exist! I mean celebrities like Jay Z, Lady Gaga, Madonna, Britney Spears, Nicki Minaj, Beyonce, and Kany are either their puppets or are working them. I love video games and have been playing them ever since I was young but I have noticed some signs appearing in video games like FF and even Virtua Fighter! If you go to virtua fighters wiki and read up on J6 you see its a evil secret society and runs the worlds companies and they brainwash orphans and train them to become asassins! I even see the illuminati infiltrating Korean and Japanese nusic now. Its very sad but a warning to people if they would only open there eyes and not be quick the say they dony believe in the illuminati. What I also found interesting about this article was how the game named the alien Jenova which is really close to Gods actual name Jehovah. God did creat the angel sna dhe created the sephiroth angels too. Maybe this agme was tryna say Jehovah brought his angel to earth punish the humans for ruining it. IDK but illuminati need to have respect for Jehovah. Plus the world is not gonna be destroyed because the bible said god will not destroy it again he will only destroy the wicked. Excellent point Doaalex. Thank you for your input. Do you think I should stop entertaining myself with all their stuff? I'm sometimes undecided weather or not I should delete all those related or used by them to deliver their agenda (e.g.songs, games, movie, video)and symbolisms. Well, what about you? Did you delete those things after knowing what hidden inside them? I know the safest thing is to remove all those bad influence from my life but then again, I would be thinking, since I've known their tricks and all (at least a little if not all) I shouldn't be deceived, right? even if I'm entertaining myself with their stuff. Also, it could serve as a reminder of their hidden agenda. I think I know the right thing to do but maybe I just need a reassurance that what I'm doing is right. Do tell me your opinion. Thanks for this great article anyway. Don't know if you're familiar with VigilantCitizen.com or not, but if you got time, I recommend that site, they uncover sinister sites and how the Illuminati (or secret societies) works their way through music, movies & mass media. Yes I've heard of vigilant citizen...their publishers have stolen a lot of my article ideas but I don't have any hard feelings. As for deleting everything that is connected to the global elite....it is nearly impossible. The best thing to do is to remain aware of their existance and agenda. Don't be fooled ....stick to what you know. Don't let anyone think for you and you should be fine. Take care my friend. Thank you for your kind words. "There is an almost sensual longing for communion with others who have a large vision. The immense fulfillment of the friendship between those engaged in furthering the evolution of consciousness has a quality impossible to describe"
I wondered if FF7's remake had made any progress so far, so i searched the net for it. 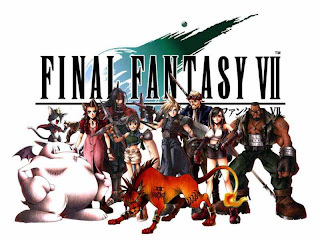 The newest rumours I found pointed at a remake on the PS4, even the shareholders are turning in a mad mob nowadays wanting to get FF7 remaked (believe me there is a whole story behind that from a economic point of view). Anywho, for some reason I got that understomach feeling that all the information I have gathered so far; linked in the why FF7 has nog been remaked yet, is of all the correlations it has with My Reality. When ingested the 'red pill' one can see a movie again, but can experience a whole other movie by the knowledge obtained so far. 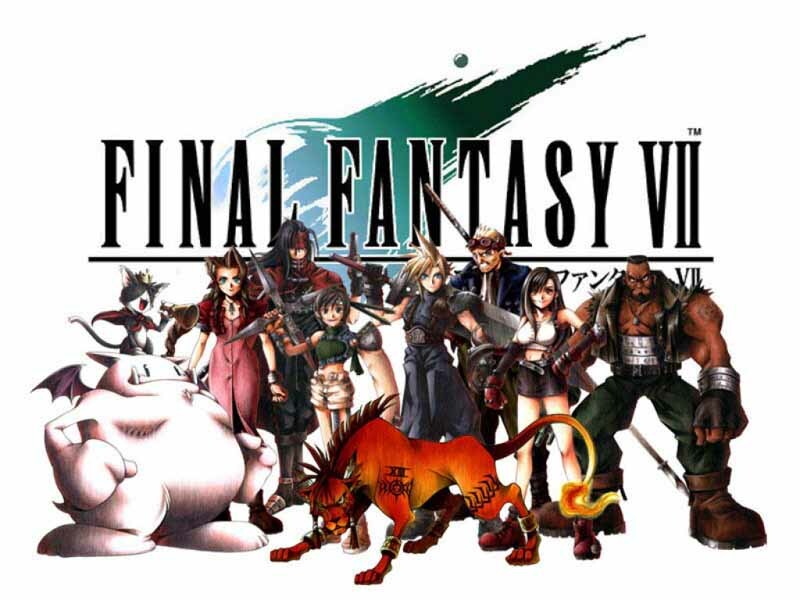 I just want to thank you for inspiring me to play FF7 again, you have confirmed that what I had thought of, and I can't wait to see all the knowledge I have been endoused with unknowingly in childhood and to see it for how it really was meant to as an adult. @ Ain, and everyone else who may need the strength to cope with the reality they have choosen to live with; you are not alone. Do not fear, experience the now with love.